One of the things I panic the most is when a user call me and tell me his/her computer has crashed, and none of the files on the computer hard drive have been backed-up. The first question the user ask is, can the files be recovered? my answer to them is that I cannot know for sure until I check the computer and see what’s going on. if its simply software related problems, like Windows boot problems, or if the crash was caused by a virus or spyware, then yes the data can be recovered. but if the disk is physically damaged, if the heads that read the data off the disk are broken etc, then is very unlikely the data can be recovered without paying a ton of money to a data recovery agency. This is what I normally do when a computer hard drive fails. If the computer is a desktop, I simply put the failed disk drive as a slave drive on a good working desktop, and get the data off of it as soon as possible. be careful with this though, if the computer was crashed by a virus or spyware it can propagate to other drives on the working computer, then you could end up with two cashed computers. If the computer is a laptop, then I use a USB hard drive adapter. 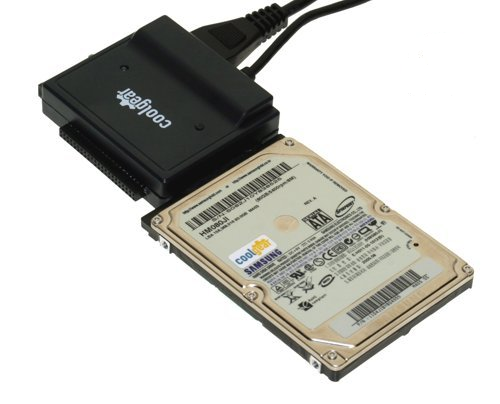 USB hard drive adapters can be purchased on any computer store, and are normally very cheap, depending on where and which type you buy. most laptops use IDE and SATA hard drives, so if you buy a USB drive adapter make sure is compatible with your laptop. If you don’t have a spare computer to put the crashed hard drive as a slave on, or a laptop to use the hard drive adapter, then try using a piece of software like bartPE. http://nu2.nu/pebuilder/ download the software and then create a bootable live Windows CD. with the live windows CD you can boot up from your CD-ROM and hopefully the crashed hard drive will be accessible so you can copy the files to a USB drive or a shared drive on the network.